A relationship needs trust in order to continue thriving and growing in a healthy way. Lying, whether it's about small things or about serious things like finances or fidelity, can be one of the quickest ways to strip that needed trust from a relationship. When trust is lost, getting it back can sometimes seem like an impossible mountain to climb, but repairing the ties which have been severed can be possible with commitment and sincerity. Come clean about the full extent of your lies. Avoid covering anything up or hiding further details, as those details will eventually come out and will only make you look less trustworthy in the end if you weren’t completely forthcoming when you had the chance. Allow your partner to express the hurt and distrust which has resulted from your actions. Don’t shy away from tough subjects or try to shut those conversations down after only a brief period of time. Remain open to talking these issues through, until your partner feels as though closure has been reached. Accept your partner's boundaries, and be straightforward about your own relationship expectations in order to avoid future problems, advises popular dating website eHarmony.com. Don’t make commitments you can’t keep, or try to push lines your partner has drawn. Instead, find a way to compromise and meet in the middle so that you both can be comfortable with the new parameters of your relationship. Reflect upon why you lied in the first place, and focus on ways to avoid falling into the same traps in the future. Consider visiting a counselor to work through some of your own issues if you feel as though lying has been something you have struggled with repeatedly over the years. Be patient with the healing process your partner needs to go through as trust is rebuilt, advise therapists Linda and Charlie Bloom, co-authors of “Secrets of Great Marriages: Real Truths from Real Couples About Lasting Love.” Understand that people have different timelines when it comes to healing, and that issues of distrust may come up again in the future, even when you have convinced yourself the problem is resolved. 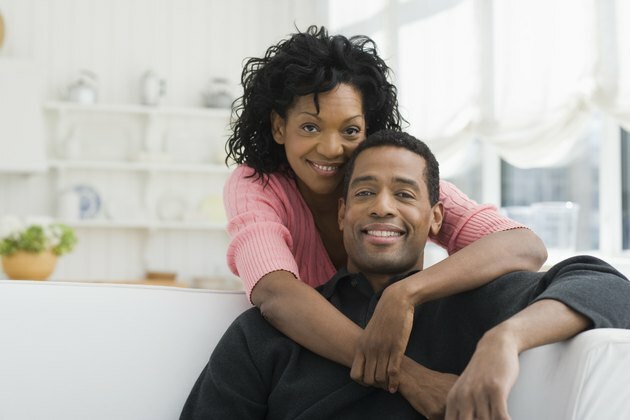 Remain compassionate and understanding as your partner works to start trusting you once more.